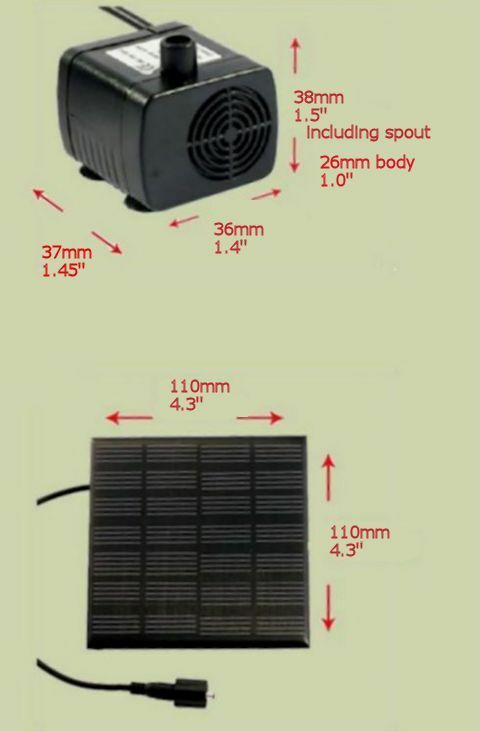 I gave into temptation and bought a small 9v water pump and solar panel from Amazon for the extravagant amount of £5.89 ($9.11). I made a holding frame from scrap wood and a couple of metal angle brackets for the panel so it's angled at 45°. This I've clamped to the ridge of the greenhouse. The pump is located in one end of an existing double tray which contained a little peat and some perlite under the live sphagnum so I had to construct a small plastic housing ( the end ? of a quarter tray with small holes drilled in the 3 sides) and placed plastic scourers inside and outside the housing to filter out any particles big enough to block the system. The output is delivered to the other end of the tray via 9mm (internal) tubing. I was surprised at the efficiency of this little pump. It readily comes to life in direct sunlight, even in February at this Northerly latitude (53.1435° N) and continues to run through light cloud. It will be interesting to see how it performs in the summer months. 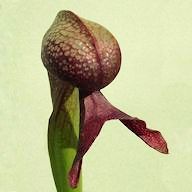 Although I do not need to have this fitted for the well being of my Darlingtonia, they do very well without it, it shouldn't do any harm. It also kept me occupied for a while ( much to MrsG's appreciation). I'm already considering another to circulate the water in a double tray containing small pierced trays of seedlings. I have now purchased a further two pumps to play with. May I ask you the items you bought? as to see them on amazon since they don't appear completely in the video? The items were a solar panel and a pump. There are various fittings to make different fountain sprays but the main two parts are here. Yes the pump and panel are surprisingly small. One day, when I get my highland CP greenhouse I'll make something like that. Yesterday I finally got a water pump to water my orchids, we have almost 0 water pressure here, and usually no water at mid day on sunny days (maybe people washing clothes around) so I had to store the water at night in tanks to use during the day.